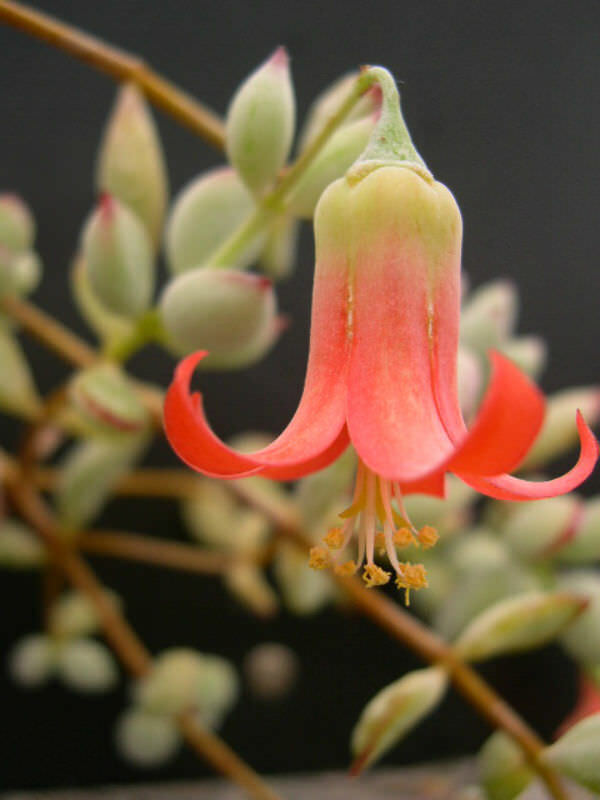 Cotyledon pendens is a rare succulent shrublet with hanging stems up to 2 feet (60 cm) long. 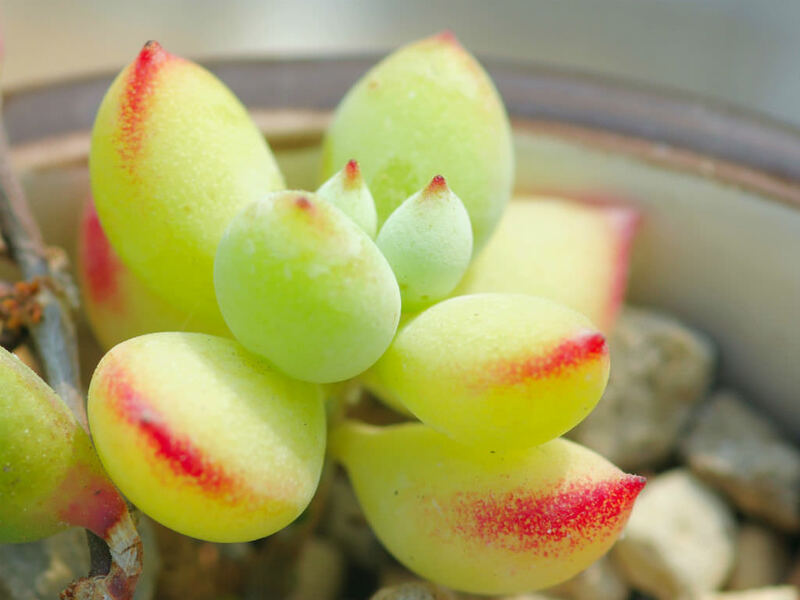 The leaf surface is whitish grey-green due to the powdery bloom, the leaf margin is an attractive reddish color. The inflorescence is produced at the ends of the branches. 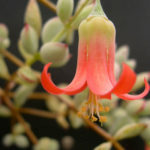 The flowers are bell shaped, orange-red, up to 1.6 inches (4 cm) long, with a cylindrical tube slightly bulging in the middle. Cotyledons require a free-draining gritty mix and plenty of sun. They are tolerant of cool, frost-free conditions during the winter if kept dry. Some require pruning to maintain an attractive shape. Cotyledons should be kept in a sunny position. 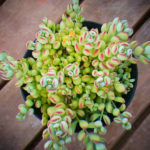 Follow general succulent watering procedures. Be careful of over-watering when they are deciduous. 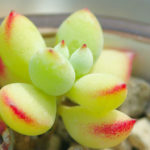 As succulents go, Cotyledons certainly are rewarding garden and indoor subjects, practically independent of irrigation in all but full desert conditions, though they cannot survive poor light or bad drainage in the wet. 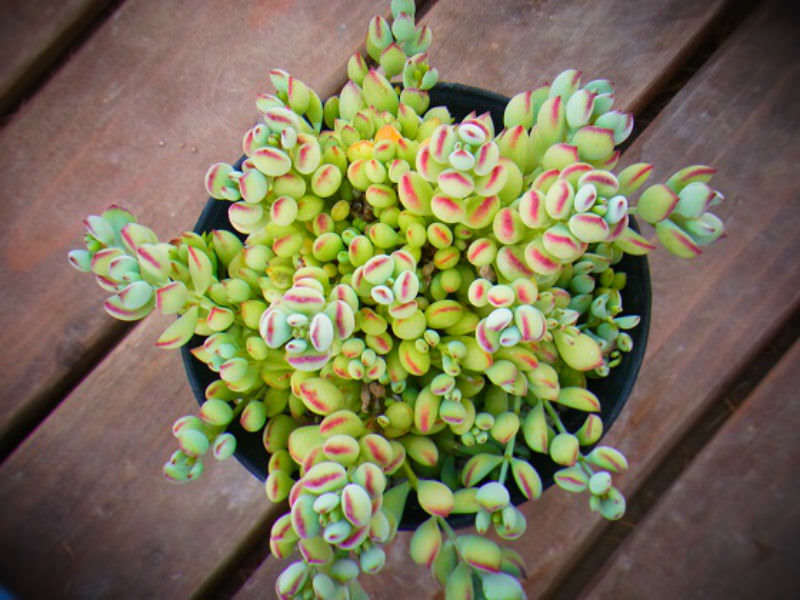 Feed it once or twice during the growing season with a fertilizer specifically formulated for cactus and succulents (poor in nitrogen), including all micro nutrients and trace elements diluted to ½ the strength recommended on the label. 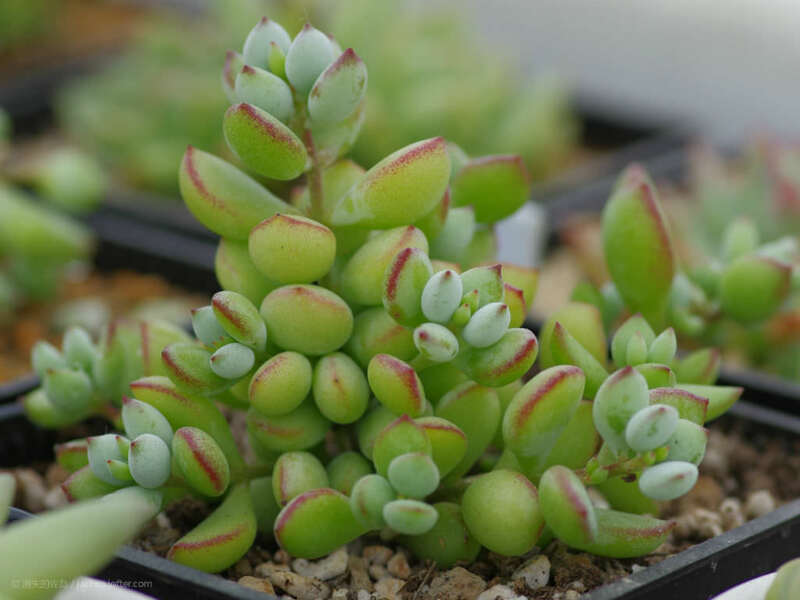 – See more at: How to Grow and Care for Cotyledon. Native to South Africa (Bashe River in the Eastern Cape).